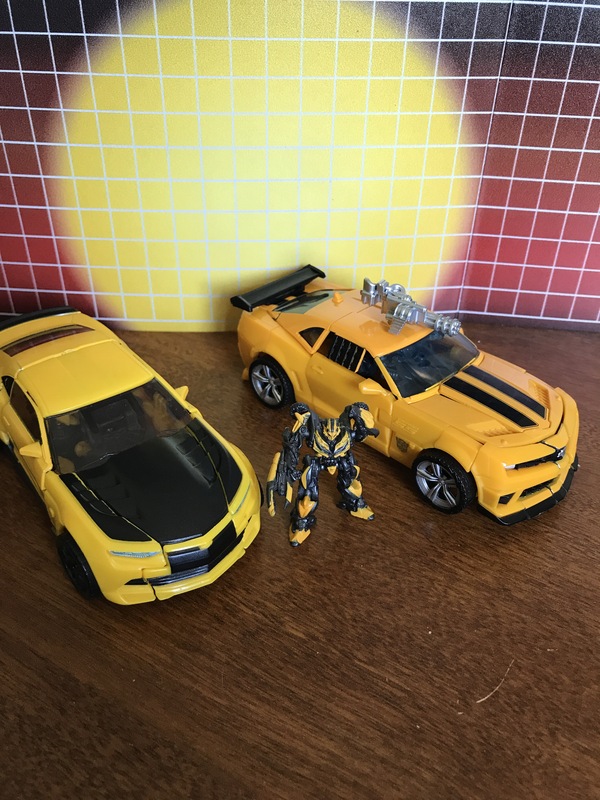 There have been a LOT of Movie Bumblebees. I mean, A……..LOT. Its understandable, he’s the flagship character for them, even more so than Optimus Prime. 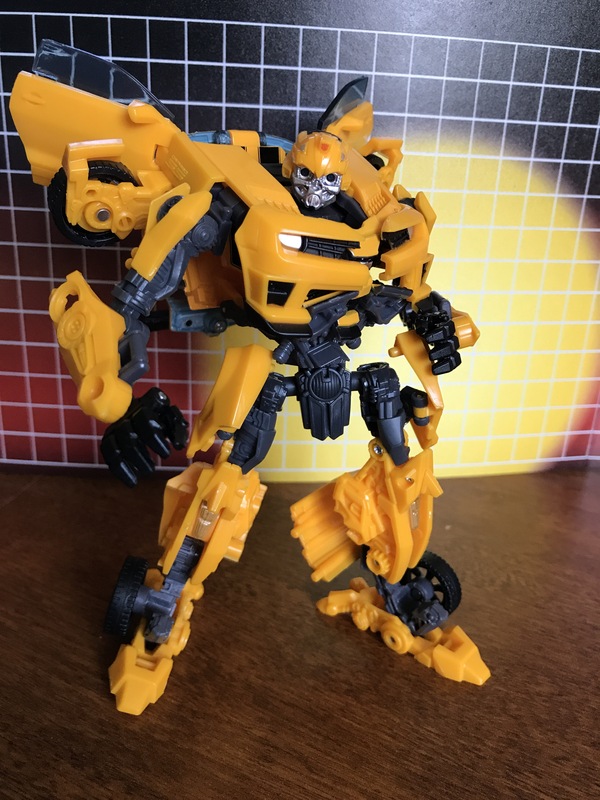 But that means we’ve gotten a lot of different designs for Bee and I’m not sure what Takara used as a determining factor on this, but I do think they got it right. Bee has gone through a lot of ascetic changes from the 2007 movie to The Last Knight. 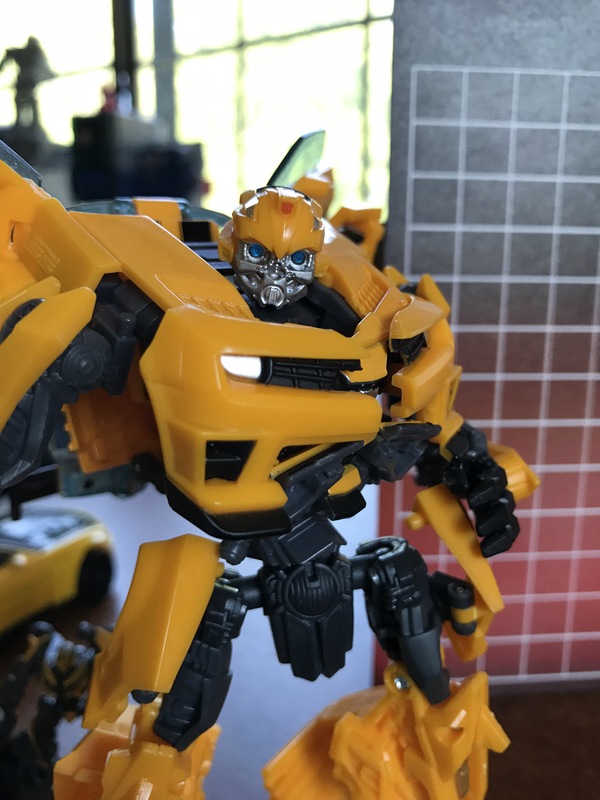 I feel like his initial appearance is the most iconic though and this mold seems to capture that the best (until Master Piece Movie Bee gets here, but we’ll get into that later). His head sculpt looks bit “skeletal” but the eyes have some serious light pipping inside which helps a lot. 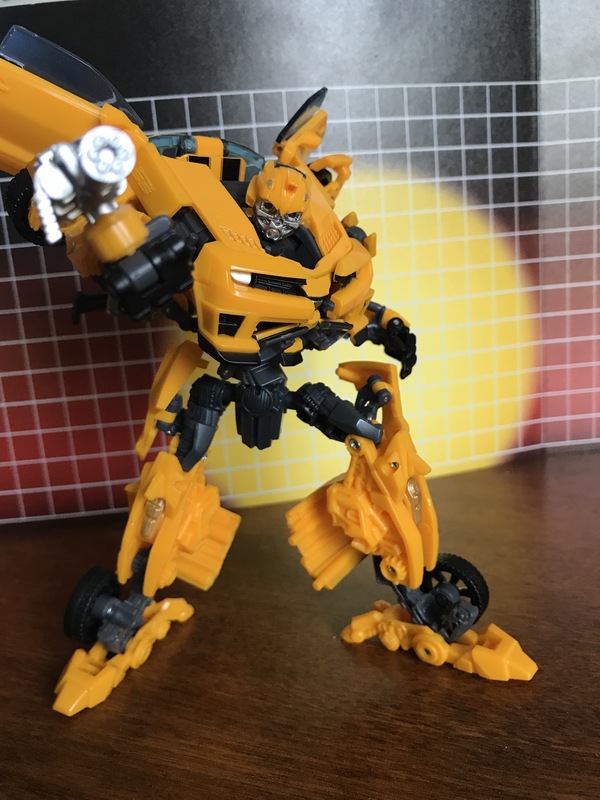 His only accessory is the forearm mounted machine gun which is a bit plain, but before he was a sleeked up murder-machine, in 2007, Bee was essentially just what he was designed to be, a scout with minimal weapons. So this works. 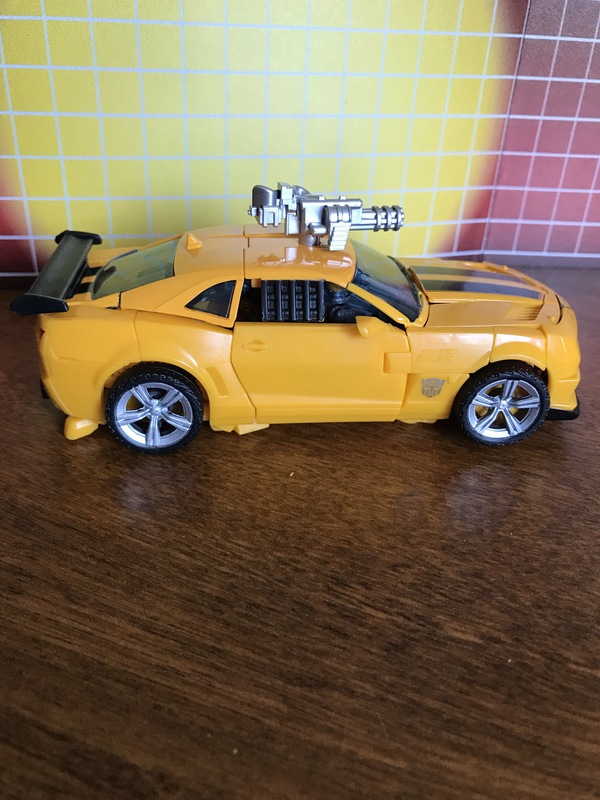 His Camero mode looks great too, albeit somewhat inaccurate due to the spoiler on the back. Otherwise it’s a nice solid representation of his look in the movie. 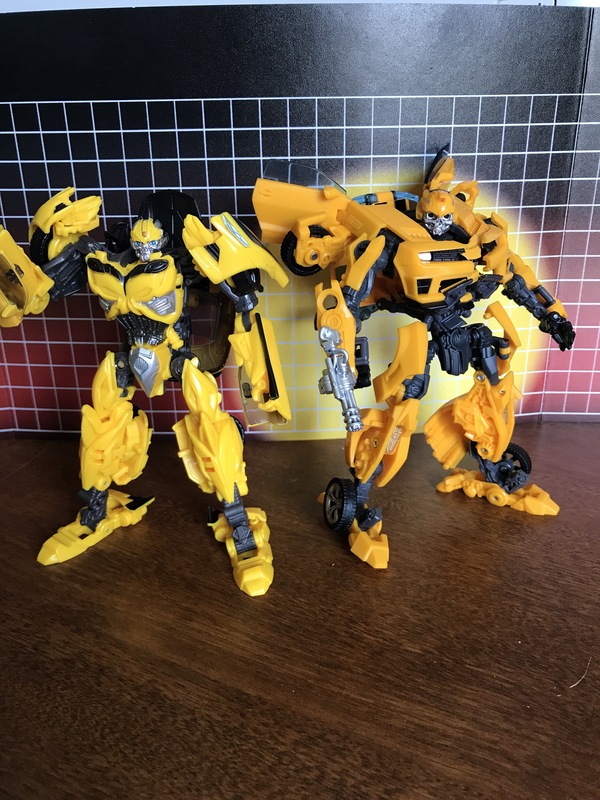 He makes the latest AOE mold from the Premium TLK figures look a bit like trash in comparison, but the price points on these two are pretty far apart. So over all, this tends to work as “MOVIE THE BEST”. 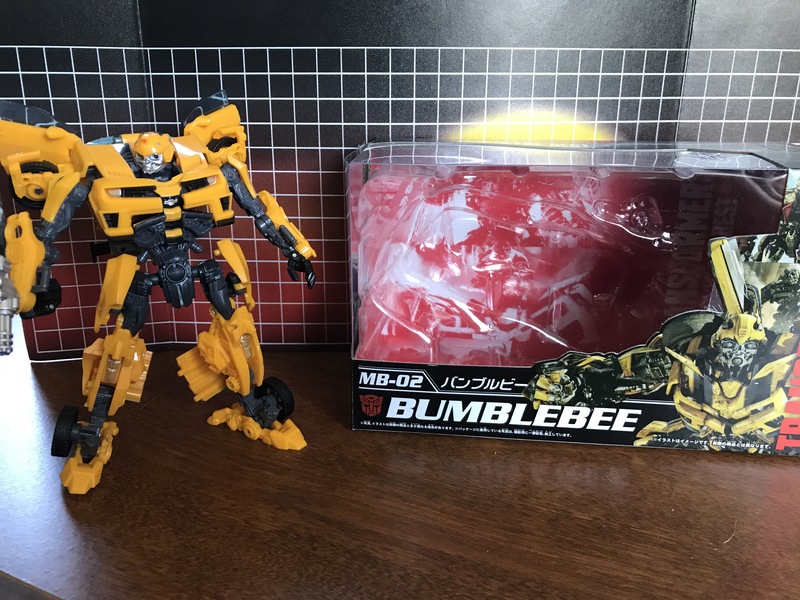 Takara’s also upping the game with this mold by releasing it in pink as “Laserbeak” in a nod to the scene in Dark of the Moon where Laserbeak transforms (for some reason..) into a small, pink Bumblebee. Fun!